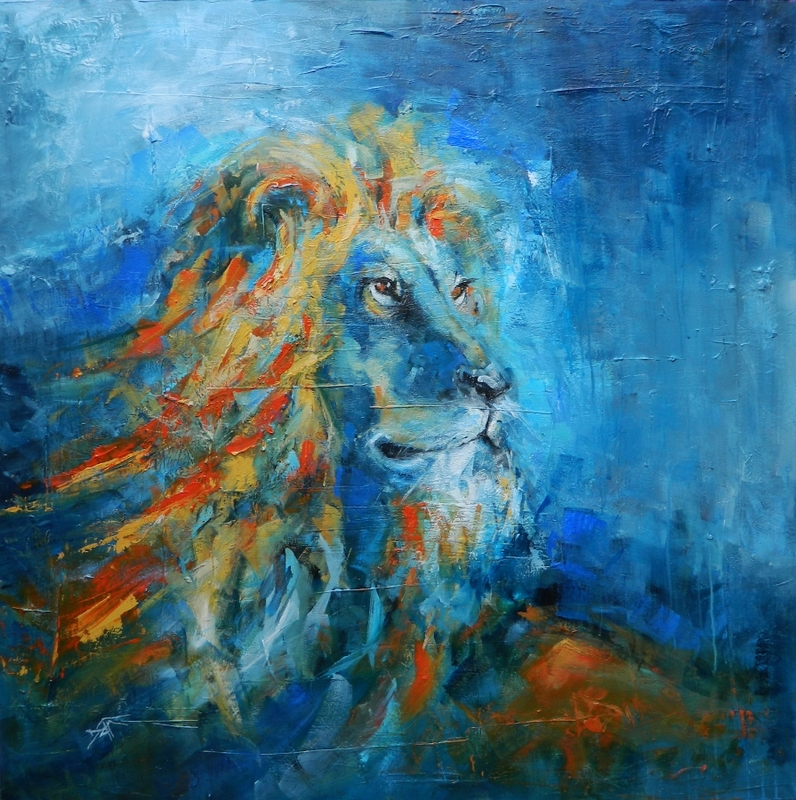 My 4th lion painting, I am somehow drawn to this magnificent animal. A symbol of courage and strength, this King of beasts stands alone. Whether standing for a cause ever important or facing an overwhelming obstacle in our path, we all may need…the heart of a lion.